We are sure that you have heard those stories about the Vanishing Roofers: You have a problem with your new roof and they aren’t there! That's not Midway Home Improvements. Our quick follow-up service calls set us above other contractors. As a family-owned business, Midway personally values our customers and takes pride in our work long after your payment has been processed. After all, positive reports to your friends and family create our best advertising. 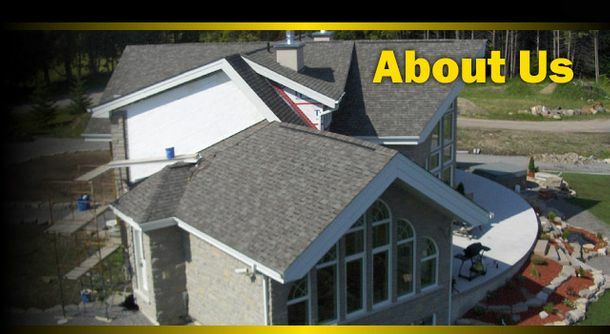 For over a dozen years, Midway Home Improvements has been serving our satisfied customers by offering fair prices and clear information about our roofing products. Please give us a call and to have one of our representatives visit your home to discuss your future roofing project. Knowledgeable about all the new and old roofing products available, most of our estimators are experienced roofers themselves. Depend on them to accurately answer every roofing question you have. Of course, all of Midway Home Improvements’ quotes are free with no obligation to buy. Midway Home Improvements is proud of our professional affiliations and credentials. 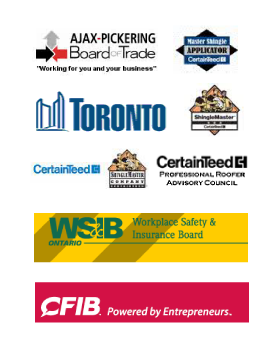 From being an accredited member of the Better Business Bureau® to our City of Toronto Municipal Licence, Midway lives up to our slogan: The difference is professionalism. Midway Home Improvements Inc. keeps all information private and does not share with other companies or organizations.